A mad rush to have IVF??? 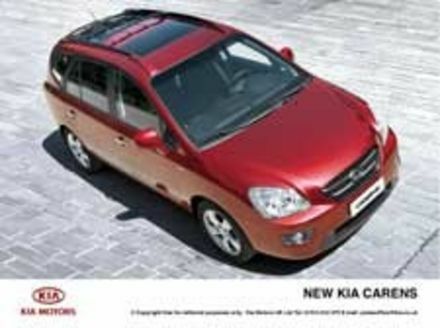 Kia Motors has announced a one- of- a - kind promotion to reward expectant mums. To support the launch of their "Family Friendly" car, parents who give birth to quintuplets will receive a brand new seven seater Kia Carens absolutely free. But it does not stop there. All growing families will benefit as Kia is offering significant discounts to any expectant mothers or one’s who have had a baby (or babies) in the last six months. Parents of new quadruplets would receive a £4000 discount, while triplets £3000, twins £2000 and a new baby £500. However, to stop any fraudulent claims, they must prove this by producing birth certificate(s) or doctors letter confirming the pregnancy (ies). One would believe the offer to last nine months but unfortunately not, it ends on 22 December 2006.